Sightsavers, in association with Dr. RP Centre for Ophthalmic Sciences, AIIMS, New Delhi, has jointly launched the second phase of the Vision Delhi programme in East Delhi’s Trilokpuri locality on 19th February 2013. Sightsavers is an international development organization that works to promote eye care. The project, in collaboration with Dr. RP Centre for Ophthalmic Sciences, AIIMS, New Delhi, assumes great significance due to its focus on healthcare issues of urban poor– one of the most neglected segments in the eye care segment. 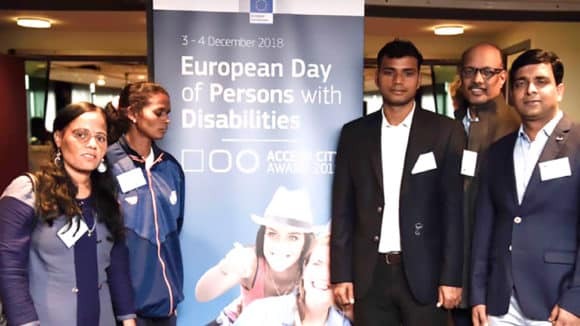 Marking the launch of the programme in East Delhi, Ms. Sujaya Krishnan, Joint Secretary and Head of National Program for Control of Blindness, Ministry of Health, Government of India, inaugurated the Primary Eye Care Centre (PEC) at the AIIMS Rotary Eye Hospital in the area. Speaking on the occasion, Ms. Krishnan called for greater convergence of initiatives in accelerating eye care programmes for different sections of the urban population. The first phase of the project had a successful launch in South Delhi last year. Vision Delhi aims to reach one million people from various slum clusters of East and West Delhi through 5 PEC clinics that will work on a daily basis. It is hoped that by the end of the project, about 90,000 people will have been screened for eye health related issues, of which nearly 60,000 people will be refracted. The project aims to extend quality cataract surgeries to 4500 people above the age of 40 in a period of 3 years. The project is set to launch its next phase in the slums of West Delhi with the goal of ‘community to have sustained access to quality and affordable eye care’. 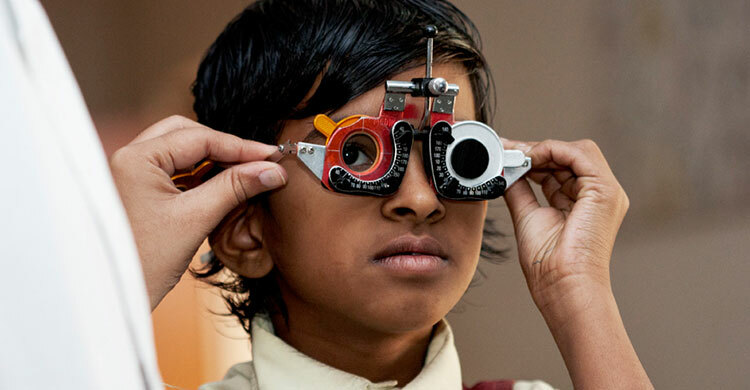 The project will demonstrate its scalable and cost effective approach by contributing to the unmet needs for quality eye care services in urban slums of Delhi to mitigate the problem of refractive error, especially in children. “The project aims to ‘strengthen primary eye care services in Delhi slums with increased uptake of refractive error services for communities by the year 2015’ and ‘establish convergence among the Government’s Health and Education Departments. “The refractive error issues of children are going to be tackled by adopting a system strengthening approach”, added Elizabeth Kurien. 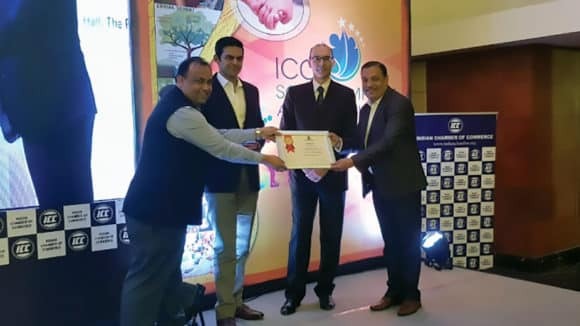 The function was addressed by many dignitaries, including Dr. Rajvardhan Azad, Chief of RPC and Caroline Harper, Global Chief of Sightsavers International.